It happens all too often… you are trying to make a handout, Web site, or presentation more interesting by finding graphics to include in your project and you are not able to find them. Worse yet…you steal “any old” graphic right off the web…, but you don’t have to because there are many Web sites that offer music related graphics, icons, and pictures to you for free (public domain) or their authors/creators will allow you to use them based on their license agreement. Bb Musician @ http://www.bflat.musician.org.uk/ has a great collection of music clip art and animated clip art as well as an interesting collection of instrument related jokes. Creative Commons Search @ http://search.creativecommons.org/ is the “big dog” on the street when it comes to finding images that are available under the creative commons (CC) license program. It takes a little bit of time to get used to the interface but it allows you to search Google, Yahoo, Flicker (see below), and others. Every Stock Photo @ http://everystockphoto.com is an excellent site that has millions of “free to use” photos indexed and lists them by license. This is the closest site I’ve found to providing the ease of use of the now defunct photo search site YotoPhoto.com –which was amazing and I would love it come back! Flickr CC Search @ http://www.flickr.com/creativecommons boasts millions of free photos to use about any topic imaginable. Use the creative commons search to find photos that you can use for almost any application -provided you give proper credit as per the CC agreement. FreeFoto @ http://freefoto.com offers a great selection of photos that may be used for free online or in school projects. The site has some very nice images but there is also a lot of advertisements to deal with as well. Nonetheless, it has a good, usable, and free collection of music related photography. 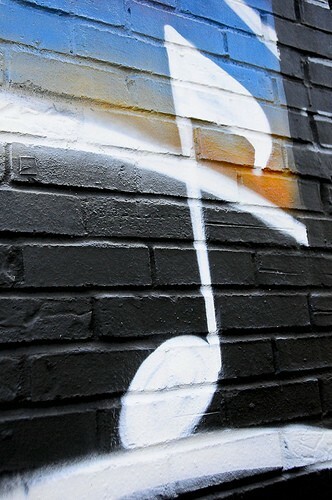 Music Graphics Galore @ http://www.musicgraphicsgalore.net/ offers a great variety of music clip art, backgrounds, and icons. This site has graphics very appropriate for use on handouts, student Web pages, etc. PD Clip Art @ http://pdclipart.org boasts over 25,000 public domain pictures, including a number of music related images. Wikimedia Commons @ http://commons.wikimedia.org/wiki/Main_Page offers a HUGE selection of free media related files, over 3,000,000 of them! It includes some very nice gallery pictures of instruments and graphics of music related interest. In my opinion, this is one of the best places to find specific music images. For instance, try typing in “trumpet valve” and then view the cool diagrams that appear in the search results. Make sure that you check the license for each graphic you are viewing to ensure that you use it as per the authors wishes; each graphic will have different agreements. If you know of any more places to find free music related graphics, clip art, etc. please let me know in the comment sections below.